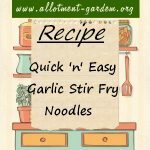 Recipe for Quick 'n' easy Garlic Stir Fry Noodles (or rice). To serve put the noodles/rice into a bowl and pour your veg over the top. 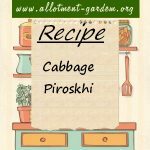 Recipe for Cabbage Piroskhi. Works well as an appetizer, with or without soup. If you haven't got the time to make the sour dough, use puff or flaky pastry. This easy to make recipe for Cabbage Soup serves 4. Omit the cream if you are on a diet. Nice with some buttered crusty bread if you're not! Recipe for Pickled Red Cabbage can be used for white cabbage. Ready after 1 week but if you keep it longer than 10 - 12 weeks it will loose its crispness. Recipe for Vegetarian Bubble and Squeak. You really need the the cabbage, potatoes and onion but a different vegetable than carrots can be used. Serves 4. 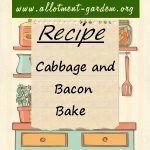 Recipe for Cabbage and Bacon Bake. More of a side dish than a main course. Would go well with french bean and some spuds! Recipe for Cabbage and Broad Bean Risotto. Sweet and tender new season broad beans combined with spring cabbage make this a fresh and tasty risotto. Recipe for Red Cabbage and Onion Pickle. Ready after 1-2 weeks and goes particularly well with all type of sausages. Makes about 3 lb (1.7 kg) of Pickle. Recipe for Beetroot, Cabbage and Horseradish Relish. The amount of horseradish can be varied depending on whether you like it strong or mild. John's Recipe for Cabbage. A simple quick way to cook cabbage. It avoids that 'cabbage smell' pervading the kitchen as well.